On October 27, 1991, Turkmenistan became independent state, and since then this date is marked as the Independence Day.On December 12, 1995, Turkmenistan was recognized as apermanently neutral state by the resolution of the UN General Assembly with the unanimous support of all 185 member states (at that time). Turkmenistan is a democratic, legal, secular state. The form of government is a presidential republic. The political structure of the Turkmen state is formed in accordance with the Constitution of Turkmenistan, adopted on May 18, 1992 (the new version on September 26, 2008). The Сonstitution of Turkmenistan is the Basic law of the state. According to that law, Turkmenistan’s state mechanism is based on the principle of separation of powers into legislative, executive and judicial branches which act independently and balance each other. Constitutionally fixed norms and provisions have direct force. Laws and other legal acts that contradict the Constitution have no legal force. People are the holder of sovereignty and the only source of power of Turkmenistan. The state guarantees the freedom of religions and confessions and their equality before the law. Religious organizations are apart from the state and can’t interfere with the state affairs and execute state functions. The state education system is formed separately from the religious organizations and has a secular nature. The President of Turkmenistan is the highest official of Turkmenistan. He is at the head of the state and executive power. The President of Turkmenistan chairs the Cabinet of Ministers – the Government of Turkmenistan. The President of Turkmenistan is the guarantor of the state independence and neutral status of Turkmenistan, its territorial integrity, the observance of the Constitution and the performance of international obligations. The President of Turkmenistan is the Supreme Commander in Chief of Turkmenistan. Legislative power is exercised by the supreme representative body – the Mejlis (Parliament) of Turkmenistan, which consists of 125 deputies, elected in accordance with the territorial election districts for the term of 5 years. The elections of the deputies of the Mejlis are carried out by the citizens of Turkmenistan on the basis of nationwide, equal and direct electoral law with secret voting and on alternative bases. Judicial power in Turkmenistan belongs to the courts. Judicial power is meant to defend the rights and freedoms of citizens, state and public interests which are protected by the law. The territory of Turkmenistan is equal to 491, 21 thousand km2. Its territory extends for 1100 km from the west to the east and extends for 650 km from north to south. The population of Turkmenistan is more than 6 million people. Turkmenistan is a multinational state. There are more than 100 nations and ethnic groups living in the country. The Turkmen language is the state language. All citizens of Turkmenistan are granted the right to use the native language. The educational institutions of Turkmenistan ensure learning of three languages – Turkmen, English and Russian. National currency is manat, introduced into circulation on November 1, 1993. At present time the ratio of the national currency against the freely convertible currency amounts to: 3,5 manats = 1 US dollar. Capital city ofTurkmenistan – Ashgabat, which is the administrative-territorial unit possessing the right of the province (velayat). Ashgabat includes 7 districts (etraps):Bagtiyarlyk district, Berkararlik district, Kopetdag district, Chandybil district, Archabil district,Abadan district and Rukhaba district. The total area makes up 47 thousand 26 hectares. Turkmenistan is divided into 5 provinces – Ahal, Balkan, Dashoguz, Lebap and Mary. Each province is divided into districts. There are 52 districts in Turkmenistan, 25 cities, including 15 cities with the right of district, 78 villages and 560 rural councils (rural municipal units) and 1927 rural settlements. The major state and national holidays of the state: New Year – January 1, the Day of the State Flag of Turkmenistan – February 19, International Women’s Day – March 8, National Spring Holiday – March 21-22, Victory Day – May 9, the Day of the Constitution and the Day of Revival, Unity and Poetry of Magtymguly – May 18, Turkmenistan’s Independence Day - October 27-28, National Holiday of Turkmenistan – the Day of Neutrality – December 12. The certain dates of annually marked holidays Eid al-Adha and Eid al-Fitr are fixed in accordance with the decrees of the President of Turkmenistan. Memorial days: Memorial Day – January 12; National Commemoration Day – October 6. Also in the country celebrated two major Islamic festivals - Eid al-Adha and Ramadan Bairam (end of Ramadan) Since both these dates are calculated according to the lunar Islamic calendar, the dates of their celebration are calculated in advance and each year approved by the Cabinet of Ministers of Turkmenistan. These days are also output. The economic growth of Turkmenistan is carried out on the basis of the national and state programs for short and long term periods. Today, Turkmenistan has the diversified, multifunctional economy presented by enterprises of power industry, oil and gas production, oil-processing, chemical and petrochemical field, mechanical engineering and metal-processing, objects for producing building materials, light and food industry. The growth rate of Turkmenistan’s GDP in the year of 2016 made up 6,2%.The income part of the State Budget of Turkmenistan in 2016 made 102 per cent, expenses part – 86,5 per cent. 80 per cent of the budget was directed to finance the social sphere. All the wages, pensions, welfare payments and students’ stipends were financed timely and in full volume. At present, in the country, under the leadership of President Gurbanguly Berdimuhamedov, grandiose reforms are under way in the framework of the national and state programs, which are aimed at the diversification of the national economy and at the achievement of innovative character. In this context, traditional sectors have considerably grown over the recent years: oil and gas complex, power engineering, agriculture, construction, transport and communications. At the same time, a lot of work is being carried out for the formation of new sectors of the economy: chemical, textile and building materials industries, telecommunications and other high-tech spheres. Special programs worked out such as the “National program for socio-economic development of the country for 2012-2016.” They are targeted at the further enhancement of the above named branches for medium-term prospect. Turkmenistan actively develops its foreign economic relations with other countries. Presently, Turkmenistan has trade relations with 119 states. In 2016, the growth of the foreign trade turnover accounted for 48,9 billion manats. Possessing huge amount of proven reserves of natural gas, as well as taking into account the peculiarities of the geographical location, Turkmenistan implements the policy of diversification of its international cooperation, particularly in the energy sector, on the basis of an equal partner access to the sources of Turkmen hydrocarbons and their means of delivery. This involves the creation of multivariate transportation pipeline infrastructure on the conclusion of Turkmen energy resources to international energy markets. Following this, the country along with the traditional routes, in 2009, implemented two new major projects of exporting its energy resources to the world market: the gas pipeline China-Turkmenistan and the second gas pipeline Turkmenistan-Iran. The country together with its partners launched the construction of its gas pipeline on the route of Turkmenistan-Afghanistan-Pakistan-India. Turkmenistan is highly interested in the projects on export of its energy to the European direction. Along with the geographical diversification, the structural diversification of the energy sector of Turkmenistan is being gradually implemented through the creation of new, primarily, process industries, based on hydrocarbon raw material. Turkmenistan believes that the joint implementation of international transport projects in Central Asia and the Caspian basin are also important, taking into account the unique geographical location in the region. The power system of Turkmenistan is associated with the combined power system of Central Asia and is capable of exporting large amounts of electricity to Afghanistan, Iran, Turkey, Tajikistan and other countries in the region. The potential of the energy industry in the country is constantly increasing: the construction of new power plants and power lines, the reconstruction and modernization of existing power facilities. In accordance with the Presidential Decree, the high voltage overhead power lines and substation complex constructed in Lebap and Mary provinces. Upon the completion of these works, Turkmenistan increased the export of electricity to Afghanistan. The capacity will also allow exporting electricity to Pakistan and Tajikistan. Turkmenistan has great opportunities for the development of different sectors of chemical and petrochemical industries, including the use of resources of already developed fields and industrial development of new deposits of chemical raw stock. In 2009, the construction of ore-mining and processing complex were launched on the outskirts of Garlyk settlement in Lebap province, where a range of deposits of potassium salts were opened in the ore-mining region Gaurdak-Koytendag. The construction of a mining complex on the production of potash fertilizers, symbolizes the birth of new mining branch for the Turkmen economy, based on the vast resource base. Thus, Garlyk deposit of potassium salts is capable to produce fertilizers in the volume of 1-1.5 million tons annually and in the future that figure will reach up to 4 millions. The cost of the first stage of the complex is about 1 billion USD. Turkmenistan attaches great importance to the development of transport and communication system (railways and roads, sea and river ports, pipelines) as an essential part of infrastructure for the sustainable development of the country’s economy. Large-scale international projects in the transport sector initiated by President Gurbanguly Berdimuhamedov are aimed to give a significant boost to regional and interregional economic cooperation. In 2010, there was the detailed consideration of the Turkmen initiative on the creation of the transport corridor from Central Asia to the countries of the Persian Gulf. А new international airport in Ashgabat, and the first phase of railway Turkmenistan-Afghanistan-Tajikistan were put into operation in 2016. Radio relays lines and Trans-Asian-European fiber-optic communication line between Shanhai and Frankfurt were constructed; its length in the territory of Turkmenistan makes about 1400 kilometers. All settlements of Turkmenistan are provided with a stable connection. Today Turkmenistan is fully self-sufficient in basic foodstuffs. In 2011, Turkmenistan became one of the grain exporting countries. 217,000 tons are set for sale, including 150 tons of wheat, and the rest - in the form of flour. During the years of independence export-oriented textile industry with modern high-tech equipment was created in Turkmenistan, 60 textile complexes and enterprises with the most advanced and efficient equipment were built and commissioned into operation. This enabled to increase the refining capacity of cotton produced in the country from 3 to 55 percent. Currently, about 80 percent of manufactured textile products are exported to the European Union, the USA, Canada, Russia, Turkey, Hungary, China, the Baltics, Ukraine and other countries. The investment activity of the economy has led to the rapid growth of the construction industry of Turkmenistan. In addition to large-scale public construction projects, industrial, recreational, cultural facilities, such as the creation of the Avaza National Tourist Zone, the large-scale construction of dwelling houses are being carried out within the National program for the reform of social and living conditions in villages, towns, cities, districts and etrap centers for the period up to 2020. Its main task is to create a high standard of living of the rural population, similar to urban, ensure balanced social development in all settlements of the country. Residential mortgage with the most favorable terms is extensively developed. Transition to market relations in Turkmenistan is being carried out in the framework of the state policy that ensures the population’s social security. The country’s policy of radical social changes is aimed at the provision of the high living standard of the population. “The State is for People!” is the main slogan and the basic doctrine of the ongoing reforms in Turkmenistan. Currently, hundreds of modern hospitals, clinics, higher educational institutions, schools, kindergartens, sport facilities are under construction. They are equipped with the latest technologies. The citizens of Turkmenistan have free access to modern medical services and education. Turkmenistan will have the bright future. The state supplies the population with free of charge electricity, natural gas, water and salt. Since 2008, the citizens of Turkmenistan have used limited free motor fuel depending on the type of the motor vehicle. Each owner of the motor vehicle gets 120 liters of gasoline free of charge on a monthly basis. Insignificant prices are fixed for bread, for the travel by the public transport, as well as by motor vehicles, railways and airlines inside country. More than 70% of the state budget of Turkmenistan is annually allocated for social needs. Turkmenistan annually increases salary, pension, public welfare payments and student stipend by 10%. All people of the country use gas, water, salt, electricity free of charge. This benefit will be valid until 2030. The state adjusted minimal sizes of residential, communal and transport services as per the world standards for the population of Turkmenistan. In accordance with the Code of Turkmenistan “On Social Security,” which came into force on July 1, 2007, the state expanded a number of public welfare payments and social aid given to disabled people. Disability benefits have been increased. There is state welfare payment at a birth of a baby – for taking care till the age of 1.5 years old. There is also welfare payment in case if the breadwinner is lost. The right forthe assignment of the breadwinner is also provided. The Program “Saglyk” (“Health”) is being implemented step by step through a strategy lowering morbidity. Turkmenistan, wholly or partly got rid of many kinds of diseases. Therefore, in 2000 the country was awarded the certificate of the WHO for the eradication of dracunculiasis. In 2002, Turkmenistan was granted a certificate for the cessation of circulation of wild poliovirus on its territory, which indicates the total eradication of polio. Turkmenistan is the first among the CIS and Central Asian countries and fourth in the world implemented universal salt iodization in accordance with accepted international standards; and, therefore, it was recognized as the country where one of the pressing problems of mankind - iodine deficiency, as mentioned in the certificate of the WHO in 2004, was eliminated. In order to prevent diseases associated with a lack of iron in human body, Turkmenistan, in close cooperation with foreign partners, implemented a number of major projects for the enrichment of food products, particularly flour and salt. Intensive work on fighting with diseases such as malaria, measles and rubella is being conducted in the country. The country finishes the process of the complete elimination of malaria. The country has the lowest ever record in tuberculosis. In October 2010, Turkmenistan was recognized as a malaria free country. This event was officially confirmed by the special certificate of the World Health Organization. Morphological centre, International Neurology Centre, Centre of Public Health and Nutrition, Centre for Prevention of Dangerous Infections were put into operation in 2016. Turkmenistan is also the owner of the international certificate of World Health Organization on the elimination of measles and rubella. In health-care centers in Turkmenistan introduced electronic document management. In Turkmenistan large-scale work is under way in order to modernize the national educational system, develop university science and raise it to the level of the developed states. The “Law on Education” was adopted in the framework of the large scale support given by the state. The intensive construction of new children’s preschool establishments, secondary schools and higher educational institutions is carried out throughout the country. The latest information and communication technologies have been introduced into the educational system in order to improve the quality and effectiveness of the teaching process. Schools and universities have been equipped with modern computers and multimedia tools of teaching. The basis for development of education and science initiated and approved by the President of Turkmenistan includes the national programme for socio-economic development for 2011-2030, the programme of development of innovative work in 2015-2020, the programme of training of scientific personnel in Turkmenistan and others. In 2016, 35 educational institutions, including 17 secondary schools for a total of 9540 seats, 16 kindergartens for 2970 places, children's health centres for 300 places and Oguz Khan Engineering and Technology University were put into operation. 19 new specialties were introduced in the universities of Turkmenistan. 7256 people became the students of higher schools, and 8385 got accepted to secondary vocational schools. The radical reform of science is being carried out under the direct leadership of the President of Turkmenistan. The Academy of Sciences of Turkmenistan has been restored. There is the Fund of science and technology under the Supreme Council for Science and Technology. The newly adopted “State Program on the Development of Scientific Sphere in Turkmenistan for 2012-2016,” councils on dissertations, the provision of the laboratories of the academic institutes with modern equipment, special hardware help to conduct a range of scientific researches in various areas, including physics, chemistry and biotechnology. All this promotes the enhancement of the scientific-technical potential of the country. The creation of the Technical Park in the Turkmen capital is also worth noting. This is a special complex that combines scientific-research institutions, educational institutions and other facilities. There are new documents that provide the reinforcement of the material and technical base of scientific-research institutes inside the Academy of Sciences of Turkmenistan. Newextrabenefits have been giventothewageforscientifictitlesanddegrees. Turkmenscientists work in all majorareas. They modernize the organizational-economic structure of the agro-industrial complex. They are engaged in the introduction of scientifically grounded methods in crop rotation and work on the creation of the developed agricultural industry, in order to raise profitable sorts of cotton and wheat and other crops. The gene-fund of plants is enriched. An ecological map is under development. This leads to the rational use of the resources of the “AltynAsyr” Turkmen lake in the Garagum desert. Sport is a part of the social policy of Turkmenistan. In this light, new sport facilities are being constructed in Ashgabat and regional centers. They are equipped with all necessary equipment for practicing various kinds of sport. Sport schools of heavy athletics will be built in Dashoguz, Mary and Balkan regions in compliance with the highest requirements. It is planned to build a modern specialized school of chess and drafts. Regional centers and Ashgabat city will have sport facilities meant for various competitions in running and cycling. In order to raise the qualification of coaches, it is necessary to arrange their training at the foreign sport schools. In order to work and prepare the national team of the country for the competitions, it is necessary to invite experienced coaches. The National Leader instructed to work out the Regulations according to that document, qualified trainers and sportsmen will get an opportunity to practice sport on a contractual base. In order to widely attract young people to sport and promote the interest of supporters, it is necessary to apply the latest and cutting edge methods and technologies, new developments in science and techniques and arrange exciting competitions. One of the main tasks set before the State Sport Committee is to develop mass health movement and Olympic movement, propagate and introduce healthy way of life, attract citizens to practice sport and active recreation. In this connection, the Head of State said that it was important to make effective use of the new sport objects equipped with latest technology and sport equipment. Special attention is given to the preparations of the V Asian Indoor Martial Arts and Games in 2017. We must make certain that Turkmen sportsmen get prizes and winning places in competition and other international tournaments. It is remarkable that Ashgabat city became the first city in Central Asia which got the right to host these prestigious games. As is known, the foundation of the Olympic city was laid in Ashgabat on November 5, 2010. This multipurpose complex includes 30 facilities. They include a Paralympics complex and rehabilitation center. Additionally, according to the decision of the Olympic council of Asia in the Asian Indoor games, there will be sport competitions in the types of sport not enlisted in the program of the Olympic Games. There will be competitions in cybersports, extreme sports, aerobics, field and track events, sport dances, football in a closed hall, hockey, swimming, bill-yards, bowling, chess and some others. Specifically speaking, included in the program of competitions of the Asian games 21 sports, will be attended by athletes from 45 Asian countries and 17 States of Oceania, including Australia. 6 international competitions took place in 2016: Asian Sambo championship, Asian gyoresh and belt wrestling championship, tennis tournament, athletics competitions, 3 x 3 basketball competitions and Asian championships of Jiu-Jitsu. Turkmenistan has several times given entries in the Guinness Book of Records. In particular, the country first was noted in the Book of Records for the world's largest handmade carpet area of ​​301 sq.m. Turkmenistan's capital Ashgabat is recognized as the white marble city in the world. The list of world records are included other sights of the Turkmen capital - the world's tallest flagpole in front of the National Museum of Turkmenistan, sculptural complex "Oguzhan" locate at the entrance to the international airport of Ashgabat and a huge star of Oguz Khan Broadcasting Center "Turkmenistan" and the wheel Ferris Ashgabat cultural and entertainment center «Älem». The activities of the Ministry of Culture of Turkmenistan are aimed at the accomplishment of tasks in accordance with the State Programme for the development of cultural sphere in Turkmenistan, which has a conceptual meaning for the formation of favourable cultural environment, which, in turn, will help to realize the cultural and spiritual potential of every individual, people and the country as a whole. As a part of the announcement of the Year of Respect for Heritage, Reformation of Motherland in Turkmenistan, large-scale actions were held in our country and abroad in 2016. On the occasion of the announcement of the city of Dashoguz as a cultural capital of the Commonwealth of Independent States in 2016, activities were held with the participation of domestic and foreign figures of culture and artists. In 2016, the Days of Culture of Turkmenistan were held in the Republic of Belarus, Islamic Republic of Iran, Russian Federation, Kingdom of Saudi Arabia, Republic of Uzbekistan and Romania. In our country took place the Days of Culture of the Islamic Republic of Iran and Kyrgyz Republic. Consistent work is undertaken to enhance the range and improve the quality of cultural services, improve their coverage by the population, renew the repertoire of creative groups, renovate museum and library funds and coordinate the activities of the cultural institutions. As of today, there are 10 state theatres and 36 state museums in the country. Turkmenistan - a country in Central Asia, located between the Caspian Sea in the west and the Amudarya River - in the east. The country's territory stretches from west to east for 1100 km from north to south 650 km, the total area of ​​491.2 thousand sq. M. km. Turkmenistan borders with Kazakhstan in the north, the east and north east with Uzbekistan, in the south-east of the country borders with Afghanistan and southern Iran. 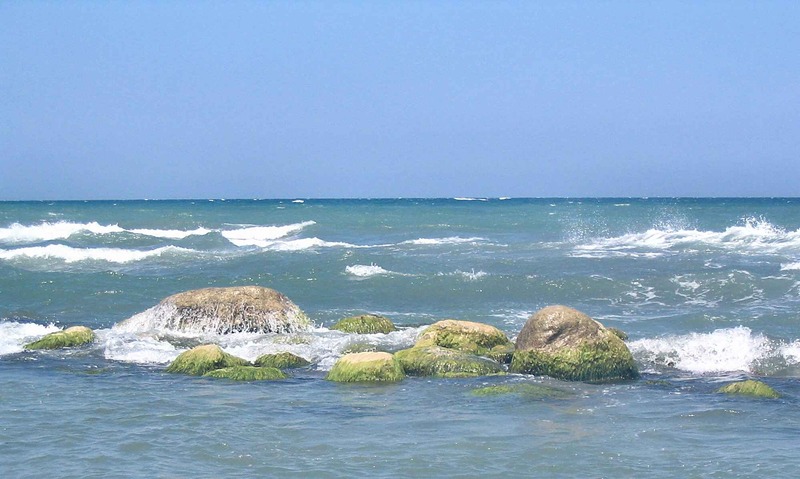 The western part of the country bordering the Caspian Sea. Turkmenistan The climate is continental, summer is hot and dry, winter - cold and frosty. Turkmenistan Relief plains and desert, foothill and mountain. Of the country's total area covers 80% of the Karakum desert, the remaining 20% ​​is the share of foothill plains and mountains. Amudarya River, the Murghab, and the Tejen Atrek are the main water sources of the country. According to the administrative-territorial aspect Turkmenistan is divided into five regions: Ahal, Balkan, Dashoguz, Mary and Lebap. The capital city of Ashgabat equated to the status of province. Geographically, Turkmenistan occupies an important position not only in Central Asia and the Caspian Basin, but throughout Eurasia. Turkmenistan occupies a huge role in the creation and development of the transport corridor "East - West" and "North - South". Due to the policy of "open doors" and market reforms implemented esteemed President of Turkmenistan Gurbanguly Berdimuhamedov, the economy is steadily developing quite dynamic pace. This is clearly evidenced by the growth rate of summary measure of gross domestic product (GDP). Suffice it to say that in 2008-2015, Turkmenistan's GDP in current prices increased by more than 2.5 times. GDP growth at constant prices was 6.5% in 2015. As the pace of growth of this important summary indicator Turkmenistan firmly among the fastest growing economies in the world. According to estimates of the authoritative international institutions, which is the World Bank, Turkmenistan is now among the countries with a higher level of income of moderately developed countries in the world. The economic growth of Turkmenistan at this stage can be characterized as industrial and investment development. Currently, the industry accounted for 40.4%, construction 16.5% of GDP. Figure: Dynamics of GDP of Turkmenistan in the current market prices for the years 2008-2015. The dynamism of the industrialization of the country's economy is the result of an active investment policy pursued by President of Turkmenistan. Suffice it to say that in 2008-2015, investment in fixed assets in the country increased by more than 3.8 times. Figure: Dynamics of investments into the fixed capital of Turkmenistan for 2008-2015 years. the share of foreign investment is increasing in recent years, reflecting the growing confidence of foreign investors in Turkmenistan, its rate of economic reform. In 2015, its share was about 16%. This is the result of extensive work carried out by the President of Turkmenistan Gurbanguly Berdimuhamedov to attract foreign capital the country's economy. In the "World Investment Report for 2012" Trade and Development United Nations Conference (UNCTAD) says that Turkmenistan is among the top ten countries in the index of foreign direct investment (FDI). The attractiveness of the Turkmen market in many ways contribute to a stable socio-political situation, steady growth of the national economy, a powerful resource and source of raw materials and reliable pra¬vovaya system, which guarantees the reliability of investments in accordance with international requirements. - The Energy Charter Treaty of 1984, which regulates energy investments on a universal basis. Now Turkmenistan as a neutral state provides its own national interests in the sphere of international economic cooperation based on bilateral treaties and agreements. In the transition to a market economy, Turkmenistan has chosen a model economy with social orientation, to achieve which the country implemented the large-scale social and economic programs. At present, the implementation of the "socio-economic development of the Programme of the President of Turkmenistan the country for 2012-2016" in the country. The presidential program is an integral part of the "National Program of socio-economic development of Turkmenistan for 2011-2030", it reflects the key parameters of the "National Program of President of Turkmenistan on the radical transformation of the social conditions of the population of the villages, towns, cities, districts and district centers for the period up to 2020 as amended. " The relevance of energy issues is very important for Turkmenistan, which is one of the states possessing rich deposits of hydrocarbon resources, industrial base for their processing, developed transport infrastructure for their delivery in several ways. Unique natural, production and economic conditions led to the formation of Turkmenistan's fuel and energy complex, which is a priority sector of the country's industry. Oil and gas complex plays the role of a multiplier of growth of other sectors of industrial production. On the basis of the country's growing power industry, production of mineral fertilizers, the industry of engineering and transport infrastructure. Oil and gas complex of Turkmenistan plays an invaluable role in the development of the social block of sectors and the improvement of living and living conditions of the population. Oil and gas complex acts as a platform in the formation of the country's export potential. The main items of export earnings of the country is gas, oil, oil products, liquefied gas, polypropylene. In the future, it will also remain the dominant role of oil and gas in the country's export potential. Dear President of Turkmenistan Gurbanguly Berdimuhamedov initiated large-scale projects for international pipelines for output to world markets for Turkmen energy resources. A good example of this is the commissioning in December 2009, one of the world's largest gas pipelines - pipeline Turkmenistan-Uzbekistan-Kazakhstan-China gas pipeline and the second in the direction Irana introduced into operation in January 2010. Currently, started the construction of the Turkmenistan-Afghanistan-Pakistan-India. In 2015 it completed the construction of internal gas pipeline "East-West", a length of 773 km, which will be an important element of the internal pipeline infrastructure linking the eastern gas-bearing areas of the country with Western having alternative solutions to the market. In 2011, in the village of Gyyanly on the shore of the Caspian Sea commissioned gas processing plant and ground gas terminal that characterized the beginning of the industrial development of natural gas on the Turkmen shelf of the Caspian Sea. This in turn allows you to diversify the routes of external supplies of domestic energy. In 2013, in Mary province on the field "Galkynysh" were introduced plant for desulphurization of gas capacity of 10 billion. Cubic meters of marketable gas annually, gas processing plant and supporting infrastructure to it capacity to 10 billion. Cubic meters of marketable gas annually and ground infrastructure for the plant desulphurization of gas capacity of 20 billion. cubic meters of marketable gas. As a result, Turkmenistan began exporting a new product - gas sulfur. Launched the second and third stages of the development of this field also involves construction of new facilities for gas purification facilities. The implementation of this ambitious project is so relevant also because the Turkmenistan-Afghanistan-Pakistan-India pipeline is under construction, the main source of raw material for which will be "Galkynysh". In addition to this GC "Turkmengaz" field unit operates about 30 gas and gas condensate fields, including such as "Dovletabat" and "Shatlyk", the largest deposits of "Malay", "Kerpichli", "Gazlydepe", "Bagaja", "Elguyy " and others. wells Fund is about 1000 units. Development of rich hydrocarbon resources of the Caspian Sea, the world entered in the register of the largest oil and gas reserves, and is the strategic direction of the fuel and energy policy of the President of Turkmenistan Gurbanguly Berdimuhamedov. It is here, on the sea shelf and in the coastal zone, in the coming decades is scheduled to receive a significant increase in production of "black gold" and "blue fuel". Currently, in our country, at an accelerated pace, work is underway for a deep chemical processing of natural gas - built factories for the production of polyethylene and polypropylene in the Balkan Region and the production of synthetic gasoline from natural gas (GTG) in Akhal province. In the near future it is planned to launch a few more deep processing of gas projects. Signed a framework agreement on the construction of plants in Turkmenistan natural gas processing and production of it 2.5 million. Tons of diesel fuel, kerosene and gasoline in the year between the State Concern "Turkmengaz" and groups «Sojitz Corporation» company, «Chiyoda Corporation» (Japan ). Along with this, a consortium of companies «Kawasaki Ltd.» (Japan) and «Rönesans Türkmen» (Turkey) signed a framework agreement to build a plant for processing of Turkmen natural gas production from him 600 thousand tons of gasoline and 300 thousand tons of liquefied gas per year . Polyethylene and polypropylene in the gas and chemical complex in Kyyanly will be based on the most modern technology, which is a distinctive feature of the deep cleaning of the feedstock from all sorts of impurities on the unique patterns. Granular polypropylene is highly regarded in the world markets. It is used in the manufacture of plastic film, synthetic fiber, high-strength sheet thermoplastics and therefore all kinds of plastic products - pipes, twine, heavy-duty ropes, filters for cars, as well as a variety of clothing and furniture, packaging materials and containers for food products - cups, trays, etc. .d. 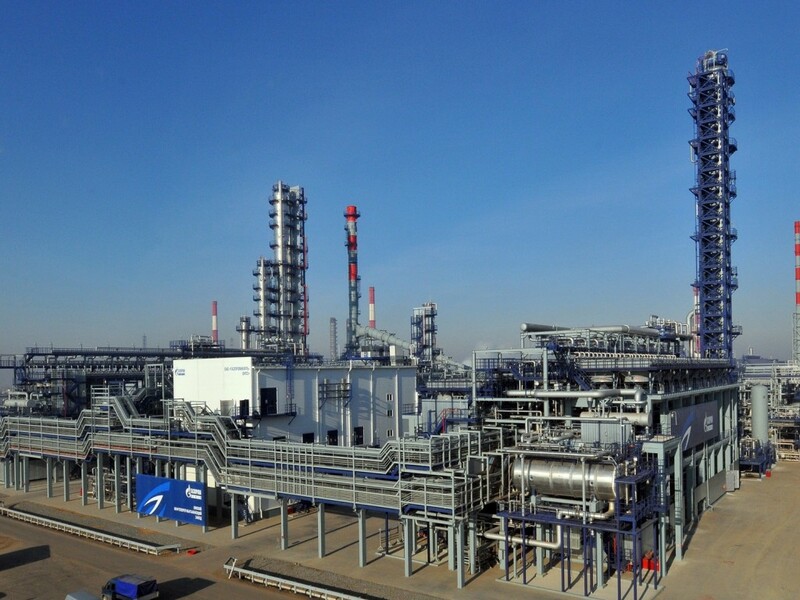 The first step in the development of domestic gas chemistry was the construction of the Turkmenbashi complex of oil refineries for the production of polypropylene plants and liquefied natural gas produced in petroleum refining. Today granular Polypropylene is one of the leading places in the list of products produced by the Turkmenbashi oil refineries. The geography of his customers is extensive:. Japan, Russia, Turkey, Iran, Uzbekistan, Azerbaijan, etc. A large part of the export goods are transported by sea. For this purpose, the international sea port city of Turkmenbashi built a dedicated warehouse for storage and shipment of polypropylene. Implemented in Turkmenistan ambitious industrial program is closely linked to environmental issues. Supporting the efforts of the international community to reduce greenhouse gas emissions, our country is gradually transferred to the "green" economy, the use of modern environmentally friendly and resource-saving technologies in the industry, including oil and gas, power generation, and transportation industries. On the decision of challenges in the field of tasks focused initiatives announced by esteemed President of Turkmenistan Gurbanguly Berdimuhamedov at the UN General Assembly sessions, "Rio + 20" United Nations Conference on Sustainable Development, as well as held III UN World Conference on Disaster Risk Reduction in Japan and VII of the World water forum in the Republic of Korea. Among them - a proposal to open in Ashgabat Regional Centre for technologies related to climate change in Central Asia, the development of the UN Special Programme for Saving the Aral Sea, Water UN strategy, as well as the establishment of effective multilateral cooperation mechanisms to ensure that environmental and technological safety in the Caspian sea, whose unique biological complex, without exaggeration, is the province of all mankind. The oil industry launched work on the development of oil fields, transfer of existing oil wells in the gas lift, idle wells - on deep-pump operation and other activities. The industry is constantly increasing volume of produced oil by foreign companies. Currently 54% of all extracted crude product in the country. Due to the large investment flows aimed at the Turkmenbashi complex of oil refineries, the flagship of the domestic industry, a super modern industrial giant is fully modernized and produces about 40 kinds of petrochemical products, mainly sold in foreign markets. Only in 2015, at the Turkmenbashi refinery completed the construction of production plants for the processing of 2 million tons of fuel oil, 250 thousand. Tons of liquefied gas, 230 tons of low-octane gasoline, and electric desalting plant AT-7 with capacity of 3 million tons of raw material per year. Thus, in the oil and gas sector of the country in the long term planned diversification of product structure, ie, hydrocarbon resources will be exported not only in the form of energy, but also the final product, which will require the creation of new corridors in the railway, road and sea transport. Turkmenistan has great potential for the development of the chemical industry, related both to the comprehensive utilization of resources already developed fields and the industrial development of new deposits of chemical raw materials. In these areas is planned to build plants for the production of urea fertilizer, potassium chloride, potassium sulfate, caustic soda, chlorine, sulfuric acid, ammonium sulfate, and paints and varnishes. In industrially - production potential of the country's present production capacity of export-oriented products, which accounts for a large part of the cost volume of foreign trade of the chemical industry. In 2014 he was commissioned a plant for the production of ammonia and urea in Mary capacity of 400 thous. Tons of ammonia and 640 thousand. Tons of urea per year. As a result, the country has increased the volume of exports of fertilizers. This area has great prospects for development and require an increase in freight traffic of chemical products in all areas of the global market. The development of the chemical industry of Turkmenistan is dictated by the huge potential of the country. Development of mineral resources Garabogaz Bay allows to organize production of potash, salt, bromine, boron, and at the same qualitative criteria should serve the use of advanced technologies. Currently in the village. Garabogaz started construction of a carbamide plant with capacity of 1155 ths. Tons per year. Turkmenistan has established equipped with modern hi-tech export-oriented textile industry equipment. The rapid development of textile industry of Turkmenistan plays an important role in solving important social problems. The majority of companies in this industry is based in rural areas and small towns. It promotes the growth of employment and incomes of the population in the regions. During the years of independence in the industry established joint ventures and joint stock companies with the participation of foreign capital partner companies. Only in the last two years we have been built cotton mills in the city of Seidi and Lebap velayat Köneürgenç District Dashoguskogo capacity of 6 thousand tons of cotton yarn per year each. In the city of Turkmenabat of Lebap province reconstruction cotton mill with capacity of 4 thousand tons of cotton yarn per year. Currently, the industry is carried out denationalization and privatization of state enterprises. Market reforms and modernization of the domestic textile industry will help produce high-quality products, competes in the world market. In this connection, great importance is the question of creating new transport corridors for the implementation of textile products. The country has received its further development of the ancient craft - Manual carpet weaving. A major role in the development and promotion of the art of carpet-making plays a State Joint Stock Corporation "Turkmenhaly". Currently, in all provinces of the country organized a wide network of companies engaged in carpet weaving. In Turkmenistan, on the initiative of the Turkmen leader Gurbanguly Berdimuhamedov, a large-scale agrarian reform, the aim of which is clever use of the capacity of the generous Turkmen land. Becoming a real incentive of farmers to work, this reform, where great attention is paid to the renewal and development of technical agribusiness park, land reclamation, development of agricultural science, introduction of advanced technologies in production, gives concrete results. This is reflected in increasing volumes of production, modernization of the infrastructure sector. The main objectives of the development of agro-industrial complex of the country are: maximum satisfaction of the population's needs in an environmentally-friendly high-quality food, providing the processing industry with raw materials, increase production efficiency and the formation of new economic relations, and on this basis the strengthening of food security. To address these challenges the legislation of Turkmenistan provides benefits for local farmers, including financial support for farmers' associations, the symbolic value of payment for the land, free use of water resources, full exemption from taxes, allowing the export of its products and other benefits. In addition the Government of Turkmenistan has been supporting farmers in the form of the 50% discount on a mechanized processing fields, purchase of fertilizer and other costs. Currently, the country carried out extensive work to create daikhan farms, cattle farms of industrial type, greenhouses, vegetable stores and other facilities agribusiness infrastructure. Only in 2015 were put into operation three enterprises for processing raw seed cotton in Ahal, Lebap and Mary provinces of 120 thousand tons of raw cotton per year, the company Cleaning and rice production in the district of Dashoguz province S.Turkmenbashi capacity of 30 thousand tons per year, the enterprise for drying of fruits and vegetables in the district to them. SA Niyazov of Dashoguz province with capacity of 1 ths. Tons per year. The Balkan province, the city and the city of Balkanabat Gumdag, commissioned three plant for the production of bread and bakery products capacity - 2 thousand tons per year and confectionery - 2 thousand tons a year, in Mary province Sakarçäge District built a workshop for production soft drinks capacity of 4 tys.litrov per hour, Wekilbazar District to build a plant for the production of dairy products and ice cream capacity of 1 thousand tons of products per year. The Akhal velayat in Baharly district build a factory for the production of clean drinking water and soft drinks capacity of 5 and 3.5 tys.butylok tys.butylok per hour, respectively. The Akhal and Lebap built factories for the production of canned fruits and vegetables mln.banok capacity of 2 annually. In addition, Baharly district of Akhal province built 2-breeding complex for the production of meat and dairy production and cattle fattening capacity of 20 thousand tons of milk and 200 tons of meat products per year, Gökdepe District reconstructed poultry complex with capacity of 600 tons of poultry and 10 million pieces of eggs year. The Ahal and Balkan provinces built greenhouses for the cultivation of fruits and vegetables by 200 tons per year. In order to ensure consistently high rates of economic development, promotion and support of the private sector in early 2013 Dear President of Turkmenistan adopted the "State program of privatization of enterprises and objects of state property for 2013-2016" and adopted an action plan on privatization for this period. A program of forming a full-fledged securities market. Currently, the tourism industry in Turkmenistan is one of the strategic directions of development of the national economy. This trend confirms the real potential of our country in the sphere of tourism and recreation. Initiated by President Gurbanguly Berdimuhamedov development of the national tourist zone "Avaza" makes it possible to significantly expand the infrastructure of tourist industry in the state to attract significant foreign investment, create new jobs and generally gradually make a significant contribution to the development of the national economy. This event is directly related to the strategic planning of development of the economy of Turkmenistan in the near future with a view to the development of the real potential for recreation and tourism industry and related sectors, respectively, of our state economy. National tourist zone "Avaza" - is one of the priorities of the economic strength of our country, which are interested in the implementation of not only the business structures of Turkmenistan, but also a large number of major international investors and businessmen. 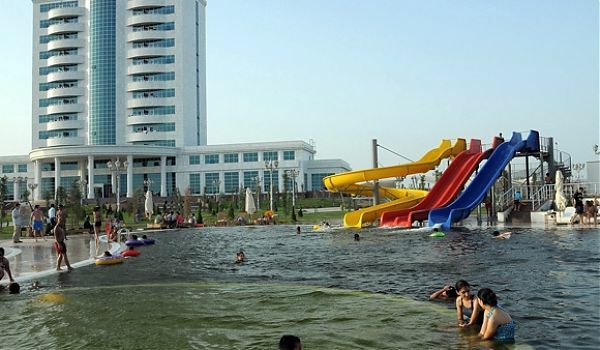 This fact confirms the huge investment attractiveness of the Turkmen market tourist resort, functional conditions and possibilities of our country. President of Turkmenistan conducts an active foreign trade policy. During 2008-2015, Turkmenistan's foreign trade turnover increased by 1.5 times. The exporting country holds a significant share of natural gas, oil and oil products. Designed production capacity in light industry allow Turkmenistan to export large volumes of cotton fiber and textile products. Turkmenistan has significant opportunities to build in the future export potential for mineral fertilizers, chemicals and petrochemicals, industrial output of building materials, agricultural products and others. The country is dominated by imported products for industrial purposes. The main importers of Turkmenistan are such countries as Turkey, China, UAE, Iran, Russia, USA, Germany, United Kingdom, Republic of Korea, Italy, France, Ukraine, Japan and others. To activate the external economic activity on the initiative of the President of Turkmenistan in the country are specialized intergovernmental cooperation commission, whose work covers the areas of economy, trade, investment, science and technology, education and culture. At present, Turkmenistan created about 40 intergovernmental commissions, where there is constant work to establish fruitful and diversification of economic, business and cultural ties. The country has begun work on the study of the question of accession of Turkmenistan to the WTO. Central Asia is one of the regions where the foreign trade relations of Turkmenistan grow dynamic pace. During 2008-2013, the volume of Turkmenistan's foreign trade turnover with the countries of Central Asia has increased by more than 1.5 times. At the same time, exports grew by 1.7 times, imports of 1.45 times. At the same time, the share of the Central Asian countries is not consistently high in foreign trade turnover of Turkmenistan. Over the past 6 years, this figure fluctuated at a level of 2.2% in 2013 to 3% in 2010. In this connection, it should be emphasized on the significant opportunities to increase commercial cooperation between our two countries. The main share of Turkmenistan's foreign trade turnover with the countries of Central Asia belongs to Kazakhstan (43.5% in 2013) and Uzbekistan (42.0%). Foreign trade turnover in 2015 between Turkmenistan and the Republic of Kazakhstanamounted to 189.6 million. US dollars. Exports amounted to 4.7 mln. US dollars, compared with 2008 decreased by more than 8 times. Imports also fell by 27.5% during this period. The export of Turkmenistan to Kazakhstan mainly dominated by oil, fresh tomatoes and grapes. The import of grain mill products, processing equipment, electrical machinery and equipment, ferrous metals and products made of them, and others. In the future, with the completion of the railway corridor "North-South" trade relations between Turkmenistan and Kazakhstan will be built up both through export-import relations between the two countries and increase the flow of goods in transit through our country to neighboring countries. Currently, in Turkmenistan with the participation of Kazakh capital registered 27 branches and representative offices of enterprises. With the Republic of Uzbekistantrade turnover of Turkmenistan in 2015 amounted to 191.7 million. US dollars. Exports amounted to 106.7 million US dollars, import - 85 million US dollars. During the period from 2008 to 2015, foreign trade turnover increased 2-fold, while exports increased by more than 6 times, imports - by 10%. The main export positions are mineral oil, vegetable oil, organic chemical products and other chemical products, plastics and plastic products, cotton fiber and others. In imports, dominated by fruit and nuts, fertilizers, articles of stone, plaster, cement, processing equipment, electrical machinery and equipment, ground transportation, and others. In the long term there is scope for increasing the volume of exports of industrial products building materials, agriculture, chemicals and petrochemicals. At the same time, Turkmenistan can import in large volumes of ferrous metals, technological equipment ground transportation vehicles, furniture and bedding. Currently, in Turkmenistan with the participation of the Uzbek capital registered 3 subsidiaries and representative companies. Creation of "Turkmenbashi-Farap" and "Ashgabat-Dashoguz" multimodal transport corridor with further access to Uzbekistan may have positive effects to increase the traffic flow between the two countries. A striking evidence of a broad international recognition of the urgency of constructive initiatives of the President of Turkmenistan on deepening economic cooperation in transport and communications also became the last in spring 2011 summit with the participation of representative delegations headed by the Ministers of Foreign Affairs of the Islamic Republic of Iran, the Sultanate of Oman, the Republic of Uzbekistan and the Deputy Minister of Foreign Affairs the State of Qatar. The practical outcome of the Summit, which opened a wide road to implementing the initiative for the implementation of joint measures to take full advantage of transnational highways, was the ceremony of the signing of the draft agreement between the governments of the member countries of the Summit to establish an international transport and transit corridor that will connect the Middle East and Central Asia. Great prospects are expected to trade cooperation between Turkmenistan and the Republic of Tajikistan. This will contribute to the construction of the railway line "Turkmenistan-Afghanistan-Tajikistan". In June 2013 the Presidents of Turkmenistan, the Islamic Republic of Afghanistan and Tajikistan took part in the "Atamyrat-Ymamnazar-Akin" laying ceremony of the future railway. It seems promising trade relations with the Kyrgyz Republic. So mutual trade with the Kyrgyz Republic in 2015 amounted to 16.5 million. US dollars. Currently, from Turkmenistan to Kyrgyzstan exported in small volumes made of cotton, ground transportation, oil. The bulk of the imports from that country in 2015 amounted to vegetables, electrical machinery and equipment. In the future, with the creation of appropriate transport arteries can increase exports of oil products, chemicals and petrochemicals and textiles. At present, Turkmenistan carries out economic and trade cooperation with more than 110 countries worldwide. The main trade partners of Turkmenistan are such countries as the People's Republic of China, Republic of Turkey, the United Arab Emirates, the Islamic Republic of Iran, Russian Federation. People's Republic of China (PRC). In 2015, Turkmenistan's foreign trade turnover with China amounted to 6.9 billion. US dollars. The total volume of foreign trade turnover of Turkmenistan, China's share was 27.0%. Foreign trade turnover between Turkmenistan and China has a trade surplus, exports to this country is much higher than imports. Exports for the period since 2008, increased significantly in 2015 amounted to 5,611.4 million US dollars. In the export of Turkmenistan in China is dominated by natural gas, cotton yarn, cotton fiber, iodine, oil and oil products. It is planned to increase exports both by increasing the volume of supplies of natural gas, and diversification of assortments of goods supplied. In the structure of imports from China to Turkmenistan mainly dominated by products for industrial purposes, provided metal products, equipment, vehicles and other items. The Republic of Turkey.In 2015, foreign trade turnover between Turkmenistan and the Republic of Turkey has increased by 6.4 times compared to 2008 and amounted to 5.5 billion. US dollars, the proportion of total turnover of the country amounted to 21%. Exports for the period from 2008-2015 year increased by 2.4 times and imports by 8 times. A significant increase in exports in 2015 contributed to the growth of supply of petroleum products and cotton fiber. 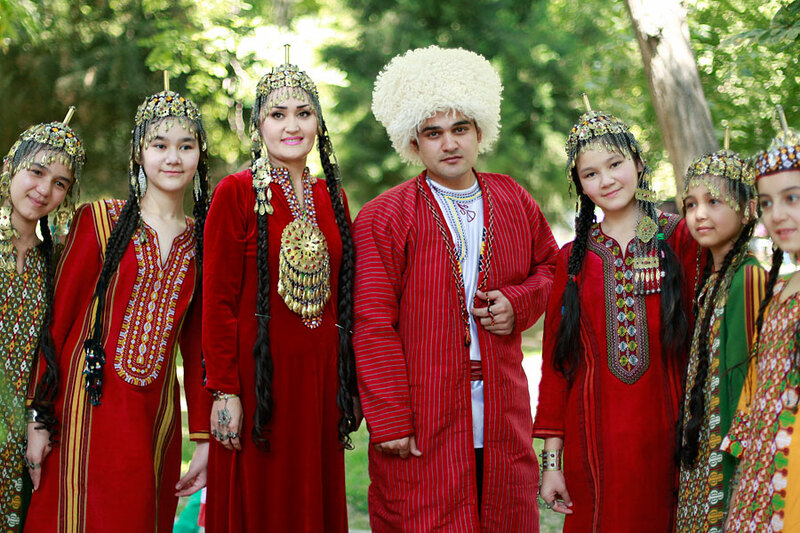 Turkmenistan is a traditional supplier to the Turkish Republic of cotton yarn and textiles. Establishing close contacts between Turkmenistan and the Republic of Turkey involves the creation of an effective mechanism of textile exports since the country started in the textile industry output are export-oriented. It is planned to diversify the supply of textile products to the EU, the CIS as well as to foreign countries. United Arab Emirates (UAE). 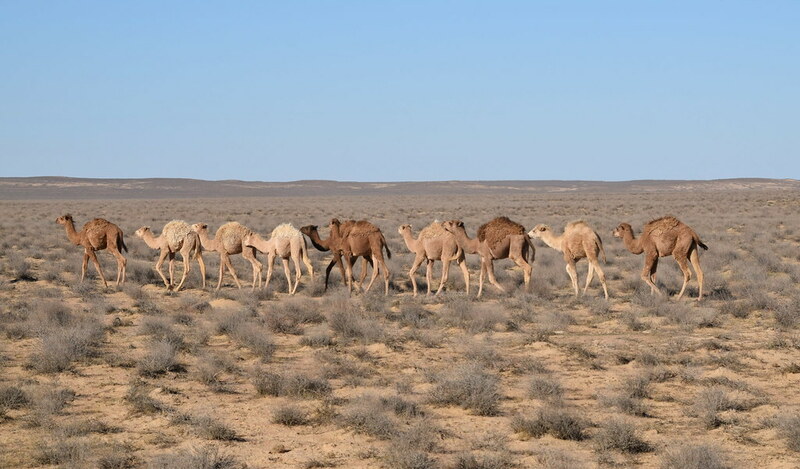 In 2015, trade turnover between Turkmenistan and the United Arab Emirates, compared to 2008 increased by 2.3 times and amounted to 82 million US dollars export for this period increased by 8.8 times and imports by 2 times. Only in 2015, compared with 2014 year exports to the United Arab Emirates increased by 2.2 times. Mainly from Turkmenistan exported oil products, mineral fuels, the products of the textile industry, processing equipment, electrical machinery and equipment, inorganic chemical products. In Turkmenistan, the UAE exports is less than 1%. The imports from the UAE to Turkmenistan is dominated by ferrous metals and their products, appliances and devices optical, furniture, bedding, articles of stone, plaster, cement, rubber and articles thereof, varnishes and paints, petroleum products, meat and meat meat products, fruits and nuts, ground transportation, etc. It is on the 3rd place in the UAE imports of Turkmenistan (8.9%). At this point in the territory of Turkmenistan registered 36 branches and representative offices of enterprises. The Islamic Republic of Iran (IRI). The trade turnover between Turkmenistan and Iran was $ 3.4 billion. In 2015, the United States and was 12.2% of the total volume of foreign trade of the country. As a result, for the period from 2008 to 2015, the trade turnover increased by 12.3%. Imports in the same period under review increased by 4 times. Removing economic sanctions in 2015 will increase the trade turnover between the countries in the priority sectors of the national economy. The export of Turkmen in Iran is dominated by natural gas, oil, electricity, cotton fiber, cotton yarn and fabric, liquefied gas, raw silk, petroleum coke and other. Islamic Republic of Afghanistan.Of particular importance Turkmenistan attaches to the revival of Afghanistan, the Afghan allegations on the ground for lasting peace. Our country provides assistance to Afghanistan in rebuilding its economy, in the construction of social and humanitarian purposes. In 2015 the foreign trade turnover with this country amounted to 557.8 million. US dollars and increased compared to 2008 by almost 3 times. A significant part of the foreign trade turnover between the two countries is exported from Turkmenistan. It should be noted that the supply of electricity and petroleum products in the country are carried out at a reduced price. Turkmenistan is ready to consider increasing the supply of electricity, as well as expand its energy infrastructure with a view to the subsequent output and connect to facilities in Afghan territory. To increase exports of electricity to the northern neighboring province of Afghanistan, the issue of the construction of the power line Turkmenistan-Afghanistan. Russian Federation.In 2015, trade turnover between Turkmenistan and the Russian Federation amounted to more than 1.9 billion. US dollars. Exports to Russia in 2015 amounted to 811.5 million US dollars. The bulk of exports are mineral oil, 94.5% of which is natural gas, and more than 2% oil. In addition, the country exported and plastic products, cotton fiber, cotton yarn and fabric, and other made-up textile articles. The main characteristic of laid cross-country highways Ashgabat-Karakum-Dashoguz, Ashgabat-Turkmenbashi, Ashgabat-Farap - compliance with international standards. As part of the comprehensive work being complete replacement of engineering and communication networks, the introduction of modern security systems, traffic, installation of electronic information displays, LED-displays, etc. All this allows to optimize traffic flows and increase the capacity of the road network given the increasing number of vehicles, improve safety on the roads. Along with these practical steps to strengthen the material-technical base of this sector, the activities of transport services introduced innovative technologies. Today, the transport sector of the capital is equipped with modern vehicles from leading manufacturers - «Hyundai Universe Luxury», «Hyundai Universe Noble», «Hyundai Super Aero City», «Iran Khodro», «Yutong ZK 6129H», «PAZ-32054" which are involved in the intercity lines and intercity flights. new transport routes are developed and created. The largest project, which is implemented in the framework of this Program - commissioning of a new International airport in Ashgabat, which became the main "air gates" of Turkmenistan, a major transit point in the continental and intercontinental air routes. In September 2014 the year with the participation of President of Turkmenistan Gurbanguly Berdimuhamedov held a grand opening ceremony of the administrative building of the State National Service "Turkmen", located on the campus of the new International Airport. In accelerated mode works on the transition to high speed internet, connecting the latest generation of mobile network technology LTE 4G on the base. In the Turkmen capital and the city of Turkmenbashi, national tourism "Avaza" zone system is implemented Wi-Fi wireless connection. High rates are ubiquitous connectivity to the Internet of educational institutions, providing them with multimedia and interactive learning tools. In 2015, it launched the first telecommunications satellite «TürkmenÄlem 52oE», designed to create a national space communications system, took up a position on a given orbit and broadcast Turkmen state television channels. Our country from one end to cross-the-art fiber-optic lines. The increase in local telephone numbers has led to an increase in the number of international and long-distance communication channels. It is important that on the territory of Turkmenistan runs 708-kilometer section of the Trans-Asia-Europe fiber-optic communication systems. Its total length - 27 thousand kilometers - from the city of Urumqi in China to Frankfurt in Germany. Modern fiber-optic line also connects the capital to all regions of the country.